There was big news in sports yesterday, as the New York Jets football team announced it was trading the team's excellent young quarterback, Teddy Bridgewater, to the New Orleans Saints. Earlier in the month, another big-time trade was reached that will soon also be sending some huge names from New York to New Orleans -- only this time the stars being shipped are elephants. Jothi (36) and Surapa (35) have resided in the Buffalo Zoo since 1987, after originally arriving from Arignar Anna Zoological Park in India. The announced move from frigid Buffalo to temperate New Orleans was celebrated by In Defense of Animals (a Moving Giants "Elephant Champion"), which had featured the Buffalo Zoo five times in the last 10 years on in its annual "Ten Worst Zoos for Elephants in North America" list. 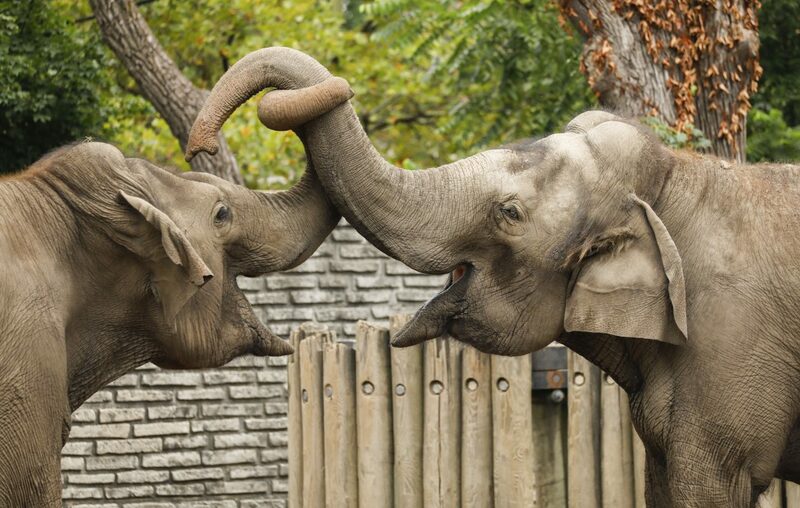 The Buffalo Zoo, the USA's third-oldest zoo, had had elephant occupants since 1900.